On Saturday, September 14, 18th Street is covered in the colors of Mexico. 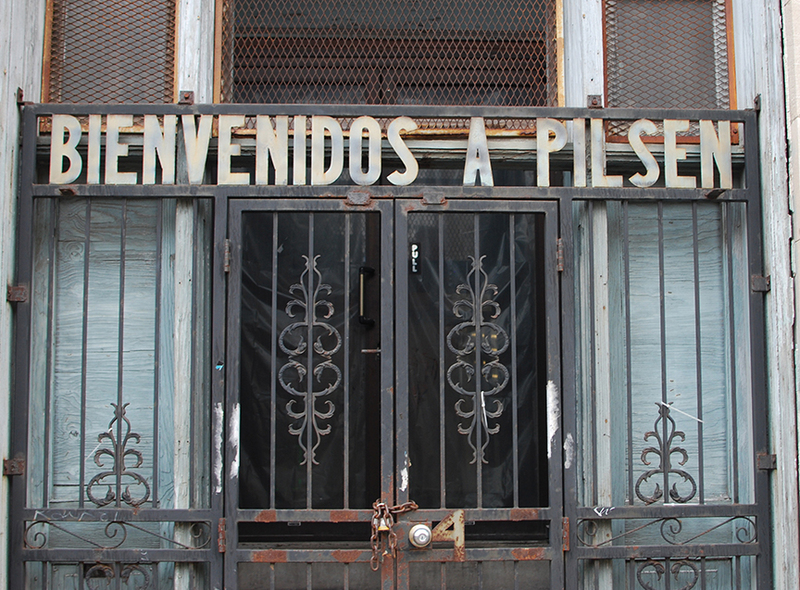 It’s almost Independence Day, and Pilsen is wearing its heart on its sleeve. Flags wave from second-story apartments and car roofs. Glittering tassels, alternating pennants, and tissue-paper flowers boast red, green, and white. On the temporary stage at Paulina Street, a singer sways in an equally blooming dress, crooning Mexican tunes for an eager crowd at the Mercaditos en el Zócalo. At Racine, music floats from empty doorways, and in the late afternoon, the sidewalk begins to fill with a scattering of neighborhood cookouts. The night before, the neighborhood hosted a more frequent celebration: the still young Second Fridays, monthly nights of art and commerce led by the Chicago Arts District. A new vintage boutique and barbershop welcomed a fashionable throng, while a DJ spun old-school Latin tracks at Modern Cooperative, a newly re-opened furniture store in the landmark Thalia Hall. The store will soon be joined by a series of sleek, much-hyped projects led by successful North Side entrepreneur Bruce Finkelman. 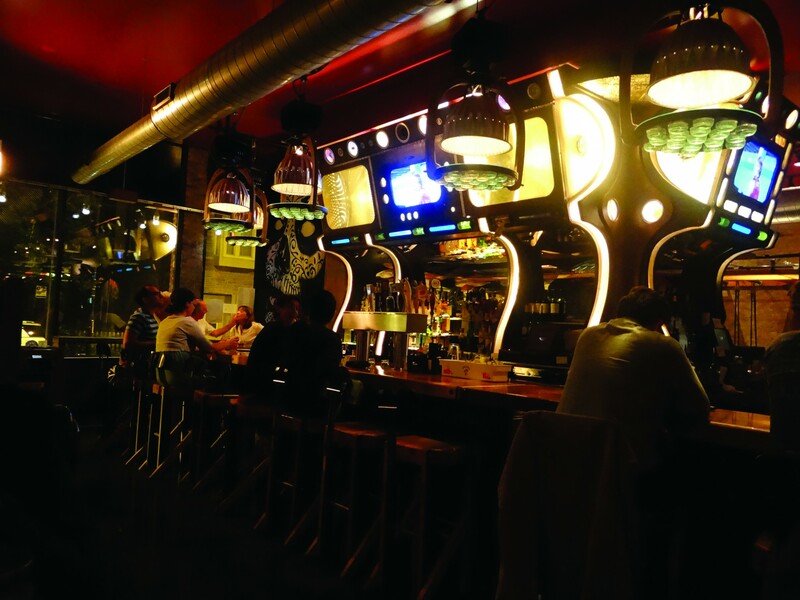 That Pilsen is going the way of Wicker Park has been a refrain here for years, but the Thalia Hall development, with an upstairs restaurant that plans to feature twenty-four beers on tap when it opens Friday night, and a basement punch bar boasting a glowing fish tank, has the feel of an outpost from the Kennedy branch of the Blue Line. 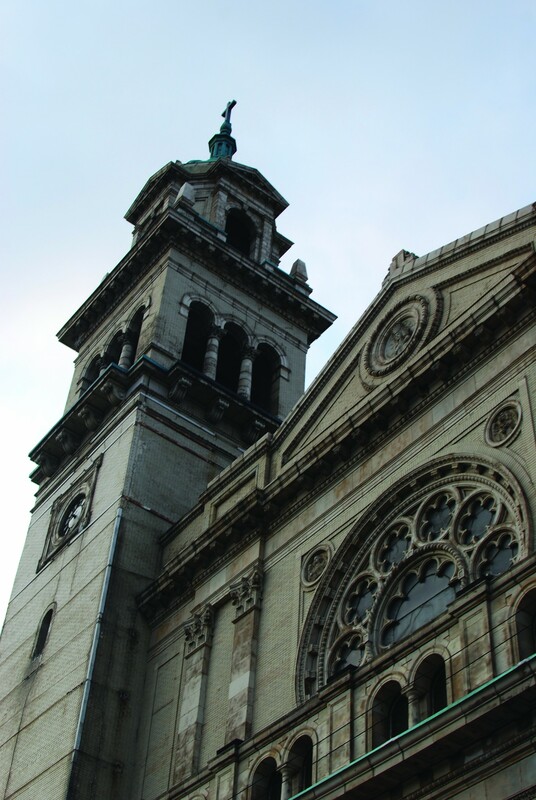 It is too easy to fall into an image of two Pilsens: that of the working-class Latino family, and that of the younger, probably whiter, transplant—the gentrifier. One could categorize each element on sight, the jingling paleta cart vs. the sleek fixed-gear bike. The vintage boutique’s painstakingly arranged finds vs. the dollar store’s crowded racks. The dim pool hall and the craggy-faced men lingering outside vs. the pinball-themed Simone’s—or the revamped Thalia Hall. can you deliver the pilsen paper to 1550 s. blue island ave. chgo.